Scott Haltzman is speaking at the Better Marriages Conference July 11-14, 2013 in Raleigh, NC. Remember Fiddler on the Roof? 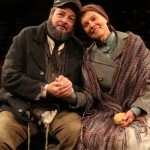 Golda and Tevya sit together reflecting on the marriage of their daughters. Tevya looks longingly at Golda and asks: (you can hear the music cue up as you think about the lyrics…) “Do you love me?” Golda shoots back: “Do I what! ?” Many couples discuss love feelings with each other in the course of their marriage, but this conversation was unusual because, after 25 years of marriage, this was the first time they asked the other this question. 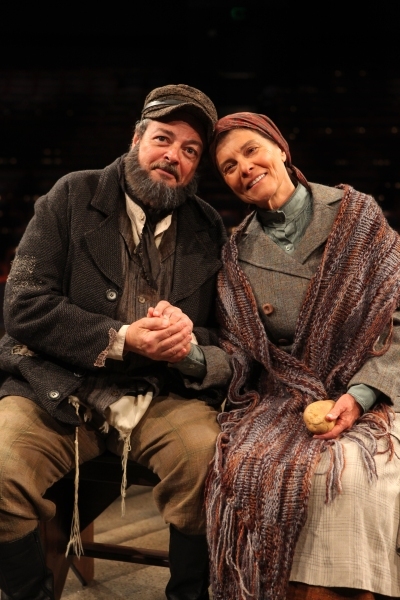 In the tradition of their culture, the Papa and Mama of Fiddler first met on their wedding night: theirs was an arranged marriage. Most people in Western culture choose who they marry, and at the time they do, they tend to describe themselves as being in love – madly in love even – when they get engaged. At the moment the wedding bells ring, Bride and Groom are at their happiest. You would think that love would grow stronger every day. But it doesn’t. In fact, as couples enter the second year of marriage, their levels of love begin to drop. Compare that statistic with what we know about arranged marriages. When these couples tie the knot, they don’t feel particularly lovey-dovey. That’s understandable, because in some cases, they only met each other at the altar. As these couples grow together, though, studies show that their amount of love for each other climbs higher and higher, surpassing levels of love feelings of non-arranged marriages. How can it be that total strangers can fall so head over heels? Arranged marriages work because they don’t take love for granted. If there is going to be passion, affection and caring in the marriage, it has to be created. They work to find things in their partner to love. And they make efforts to win the love of their new spouse.